Sillery is a commune in the north-eastern French department of Marne. The cemetery is located in the South-East of the village on the D8. 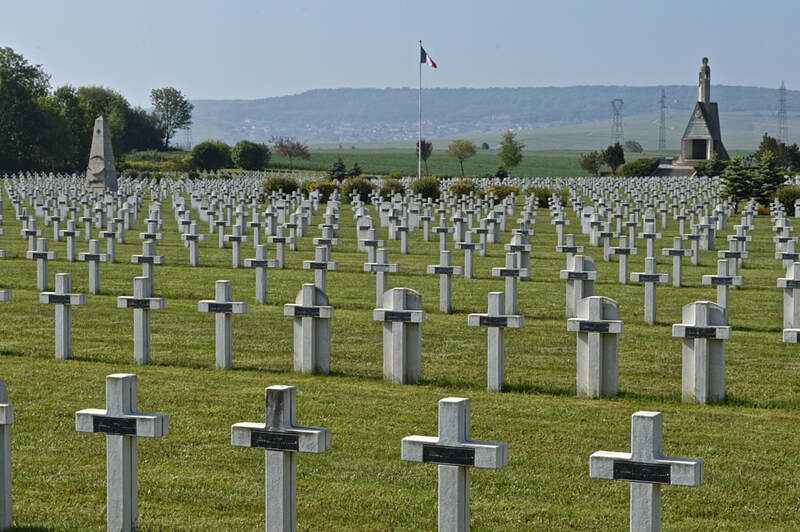 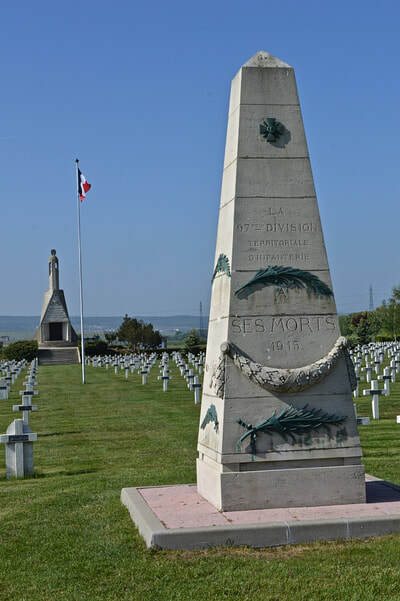 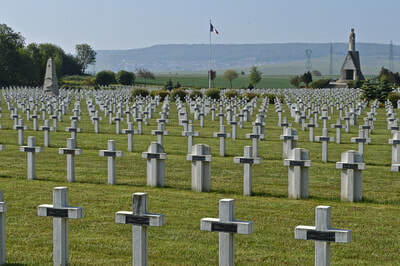 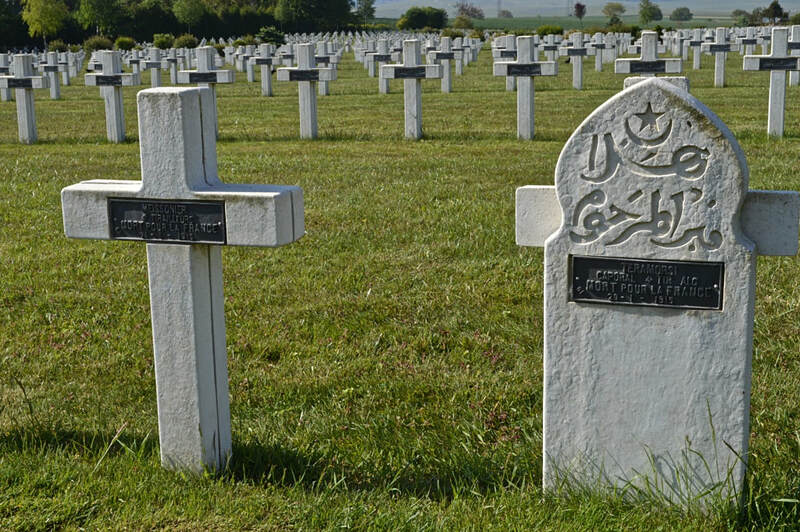 The Nécropole Nationale de Sillery – Bellevue, to the south-east of Reims close to the river Vesle, is a large and typical French military cemetery. 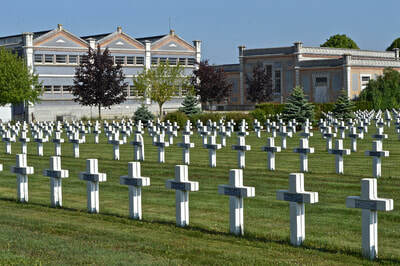 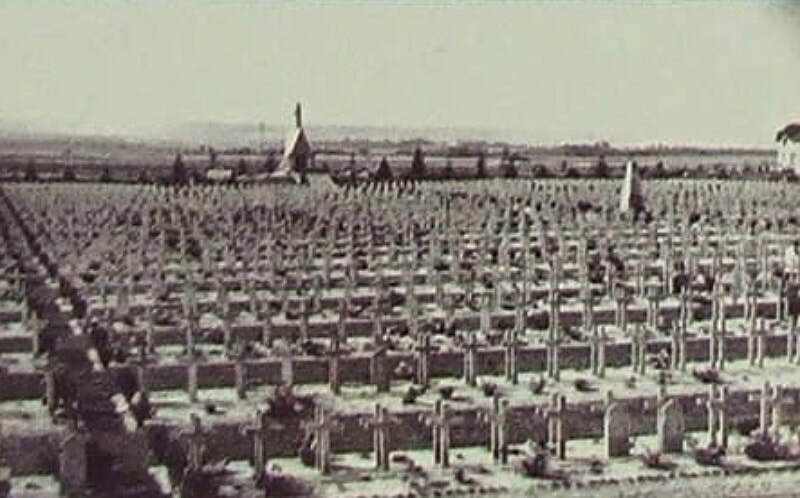 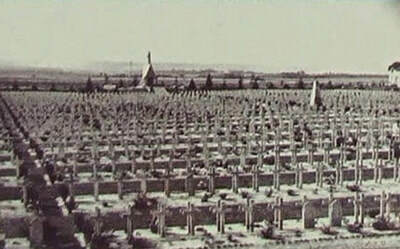 Laid out in 1923-33, it contains the bodies of 11,259 French soldiers, of whom 5,548 are in an ossuary. What makes this cemetery distinctive is the chapel-Mausoleum, dedicated to the missing, sited towards the lower end of the central axis. 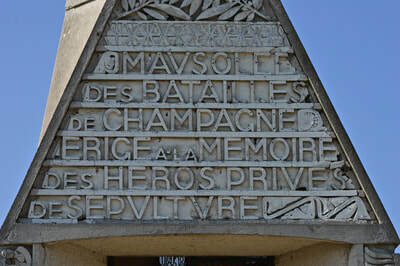 Inaugurated in 1927, it is surmounted by a tall lantern intended to contain an eternal flame. 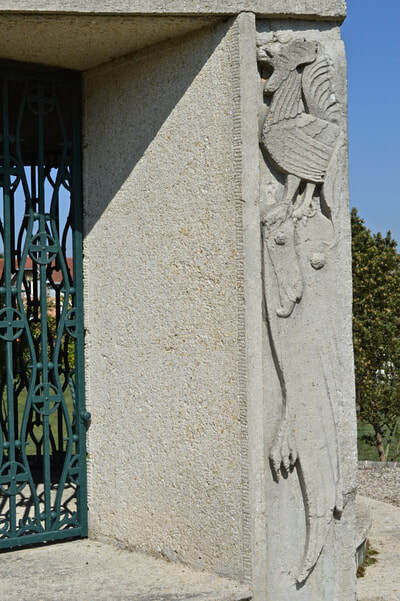 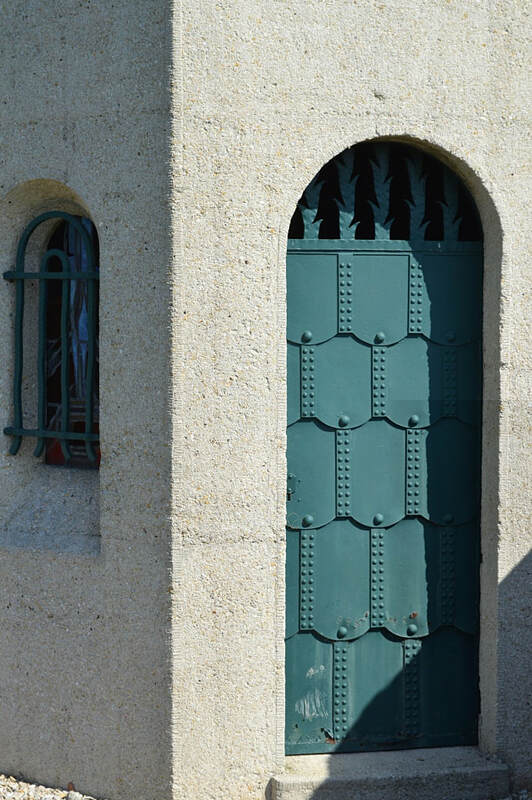 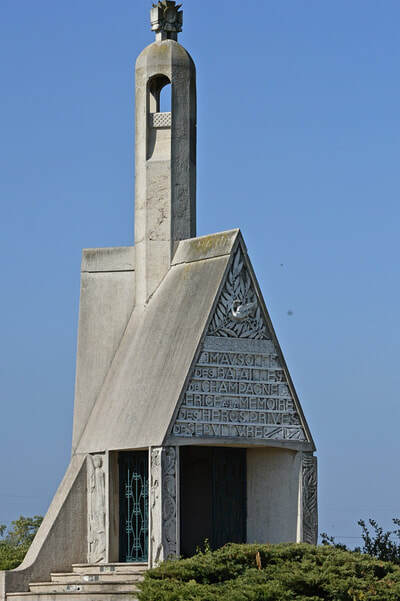 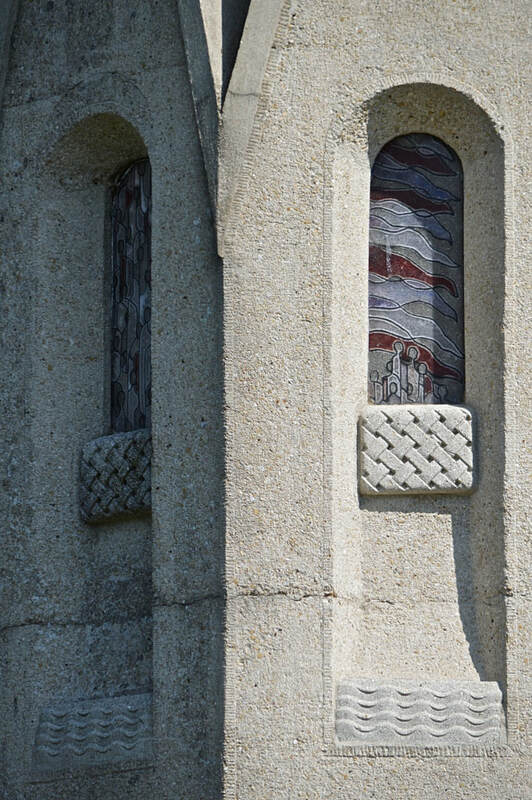 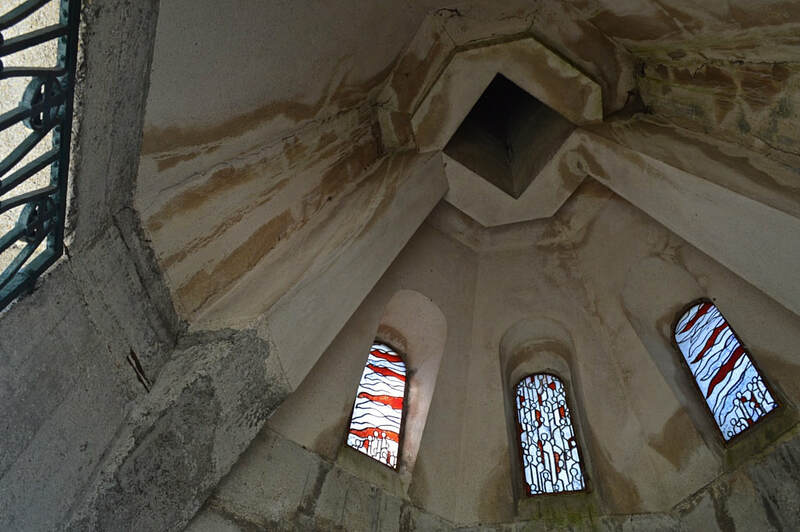 This chapel is, unusually for structures in a nécropole nationale, an accomplished Art Déco design and it was, in fact, one of two structures exhibited by the city of Reims at the 1925 Exposition des Arts Décoratifs in Paris (the other being the Carnegie Library). The architect was Adolphe Prost and the sculpture by Édouard Sediey, along with Berton, Lacote and Pellue; the stained glass was by Jacques Simon, the ironwork by Marcel Decrion and the concrete work was carried out by Demay. 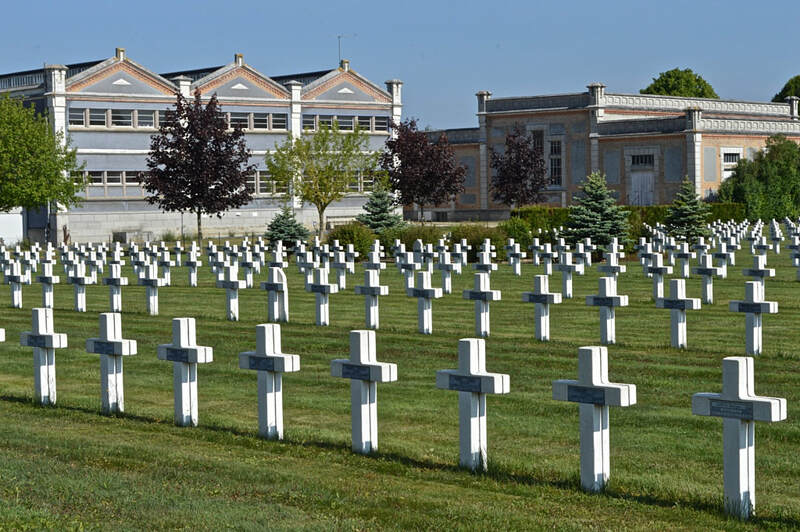 The landscaping around the chapel was laid out by Édouard Redant; the rest of the cemetery is, typically, treeless and rather bleak. Pictures © Nicholas Philpot except for black and white photograph.